When I was a little girl in Detroit, during the 50's, I was very lonely. My father was an alcoholic and my mother took prescription drugs. They were so involved with their own problems, I was alone most of the time. I would run home for lunch every day to eat with Soupy Sales. It was like having a lunch date every day. I never met Soupy, but I want to thank him for all those lunches that I didn't have to eat alone." 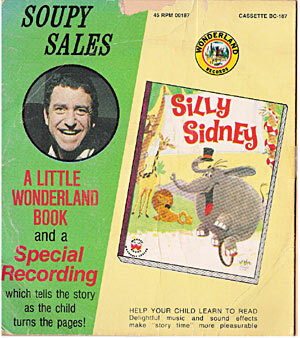 Soupy Sales hosted several children's shows that spanned three decades, bouncing from network to the locals - with broadcasts originating from Detroit, Los Angeles and New York. "I scuffed around from one radio and nightclub job to another," the North Carolina born comedian said about his early days before TV. "I kept quitting because of illness. They got sick of me." TVparty-er Mark tells us, "I interviewed Soupy several years ago and asked him about his real name. I said that sources indicated his real name was Milton Hines and another said it was Milton Supman. "His real name is Milton Supman. Hines was his first professional name, he did it to capitalize on a sponsor (Hines Soup)." 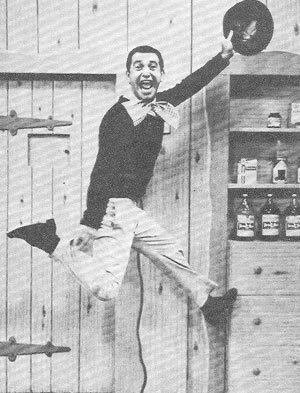 Soupy began his television career in Cincinnati with 'Soupy's Soda Shop' in 1950, TV's first teen dance program (a genre that really picked up steam in the 1960s). He was also a morning radio DJ. Soupy fan Tom Diederich remembers, "When I ran out of money and came home from college, I got a job at a steel mill in Cleveland Ohio - circa 1951. I was later drafted and after two years in USMC got the GI bill to finish college. "But every morning- I was on the day shift- I was up with the radio and Soupy Heinz. He was a disc jockey but very lively and funny. He would often tell us, 'This is National Sleep Day-- just stay in,' etc. His voice made the drive to work bearable." A move to Detroit in 1953 launched his TV career in a big way; Soupy was responsible for a whopping 11 hours of face time a week on WXYZ-TV. 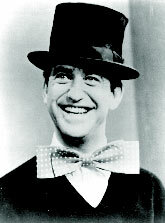 The first national Soupy Sales Show was a live fifteen minute summer replacement (for ABC's 'Kukla, Fran and Ollie') that first aired on Monday, July 4, 1955, produced from the studios of WXYZ. 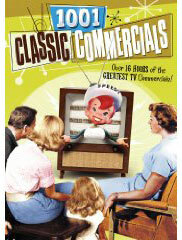 The program ran until August 26, 1955. Soupy and his head puppeteer / sidekick Clyde Adler hoped that the network would pick up the show for fall, but they passed - for the time being. Soon after came 'The 12 O'Clock Comics,' a daytime kiddie program that consistently drew better ratings than the network fare (like Arthur Godfrey and Tennessee Ernie Ford). Soupy also produced and starred in a hip late night show called 'Soupy's On' where top stars like Ella Fitzgerald and Duke Ellington dropped in to preform. Soupy Sales must surely hold the record for the most pies in the face, it was a regular feature on all of his various programs. 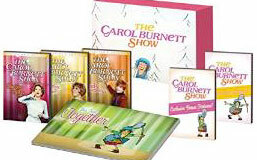 Supporting characters on his shows included White Fang (the world's largest dog - you only saw his giant paw), Pookie the Lion, Black Tooth, Marilyn Monwolf, Hippy the Hippo, and Herman the Flea; all puppets were voiced by Clyde Adler. "I play straight man to a pair of hands," the kid show host once joked. Because of the smaller screen size and production limitations of 1950's television, the medium was much more dependent on the abilities of the person in front of the camera. Soupy Sales was a masterful communicator and comic artist, a gifted performer with a twisted sense of humor and contagious laughter. He had an incandescent spark that lit up that small black and white box, like all three Marx Brothers squeezed into one. 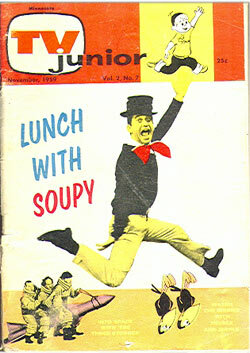 Children loved his fast-paced assault of puns, innuendoes and asides - adults found Soupy enjoyable as well. Time magazine called him "the last genuine comedy primitive" and that he was, at least until Jim Carrey came along. At the end of his stint at WXYZ, Soupy's show was slotted to temporarily replace Detroit's 'Uncle Al Lewis Show' (not the guy from 'The Munsters'). 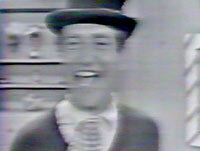 That got the attention of ABC who scheduled Lunch with Soupy Sales for Saturday at noon during the 1959 - 1961 seasons. By this point, Soupy could lay claim to taking 14,000 pies (bakery crust with shaving cream) in the face. 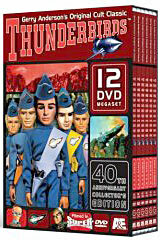 "There's no message to this show," Sales explained. "It's actually a kid's show for adults - we even get letters now from people who have pie-throwing parties in their basements." The setting for the show was Soupy's living room; besides pies in the face, regular features included 'Soupy Sez' (words of 'wisdom'), song and dance numbers (like 'The Soupy Shuffle'), comic narration over silent films and riotous routines with Clyde Adler's rebellious puppets. 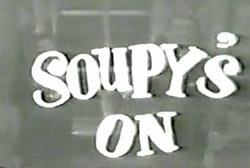 Soupy would eat lunch with his viewers, hence the title, topping it off with Jello ("It wiggles, kids"), the show's sponsor. 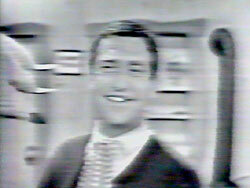 B. Smith adds, "Here's a copy of 'The Soupy Shuffle' I found from an old copy of The Soupy Sales Show on Reprise Records. "I can still remember seeing Soupy hanging out in his 'home', doing the Soupy Shuffle, and being interrupted by a big paw (White Fang or Black Tooth), puppets in the window (Pookie or Hippie), knocks at the door (hands, water, or naked ladies), or being conked in the head by a giant pack of Teaberry gum swinging overhead (which, by the way, was a send-up of the Teaberry gum commercials where people were doing the 'Teaberry Shuffle'). Those were the days, my friend." 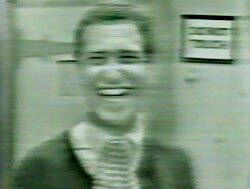 After that first season, 'Lunch With Soupy' moved to Hollywood, broadcast from the studios of KABC in Los Angeles. 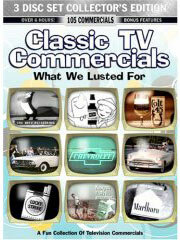 The network series ended on March 25, 1961 but continued locally in LA until January of 1962. There were plenty more pies to fly. When sponsor Coca-Cola dropped 'The Steve Allen Show,' ABC noted Soupy's still-high LA audience numbers and launched 'The Soupy Sales Show,' a Friday night series on January 26, 1962. Soupy was no longer considered just a kiddie host, this program was a variety show for the whole family, with cameo appearances from stars like Dean Martin, Tony Curtis, Burt Lancaster, Troy Donahue, Jerry Lewis and Frank Sinatra. The stars would appear looking dapper at Soupy's door only to end up with a pie in the face from Clyde Adler's White Fang. Soupy also performed an early version of his hit song, "The Mouse." Soupy provided plenty of fun for the adults who tuned in. 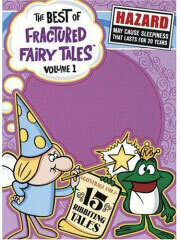 "My uncle Gary recalls (verbatim!) a rich Soupy Sales gem which whizzed over the heads of censors and children, and landed square in the laps of mature sophisticates who had tuned in," TVparty-er Brain B tells us. "Soupy (while assembling a pie alongside an adult guest) says: 'My wife can't make a cherry pie worth a cent, but boy oh boy, does she know how to make a banana CREAM!'" 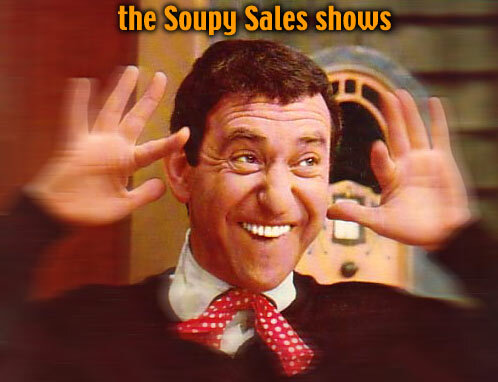 'The Soupy Sales Show' ended after less than three months, on April 13, 1962, reportedly more because of network interference than poor ratings. By that point, Soupy was finding it hard to go out in public. "The kids scream at me. They always want me to carry on like I was one of them." and the notorious prank with a naked lady behind the door - and more! NEW! 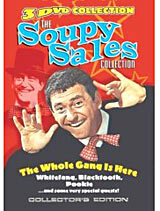 Soupy Sales on DVD - Buy it now!! 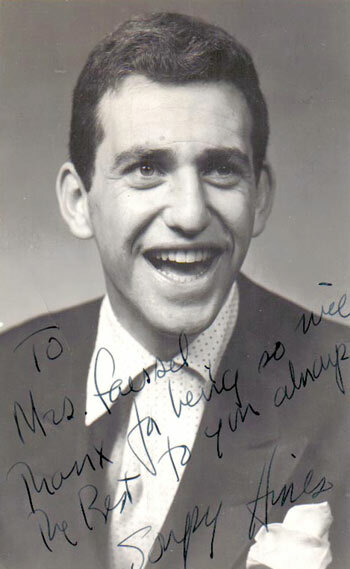 Soupy Sales celebrated his first year on the air in Detroit in 1954. Notice the hot dogs in the background courtesy of the show's sponsor. 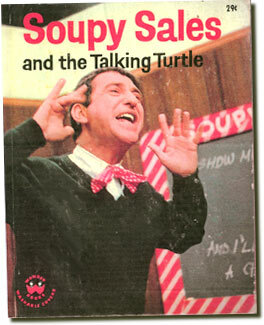 It's been estimated that Soupy Sales had been hit in the face with some 19,000 pies!